Up until that point I was a dedicated iTunes man – but, after trying the 30 days’ free trial of Spotify, I was absolutely hooked. Here was a platform on which I could discover, stream or save to my iPhone all the music I could possibly want. It was amazing – it is amazing. I took risks that I had never dared to before, and discovered that I actually love jazz music. I would never have gambled my money buying all the Charles Mingus, Miles Davis, Duke Ellington, Christian Scott, GoGo Penguin and Portico Quartet albums on iTunes just in case I liked them. But, as it happened, I loved them, and after my free trial was over, I gladly paid and still pay the £9.99 a month for a full premium account and discover great new and old music every single day. Now, one could argue that it was all, ironically enough, Thom’s fault that I first checked out and then fell in love with Spotify. But, really, it wasn’t. The reason it happened was because Spotify is quite simply an amazing application, and that 30-day free trial was the perfect length for me to truly discover that this was something that I could no longer live without, and I’m sure that this is exactly how Spotify gets a lot of others, too. Yes, they do. There are of course many different freemium models. Some offer a free trial that expires after a certain amount of time. 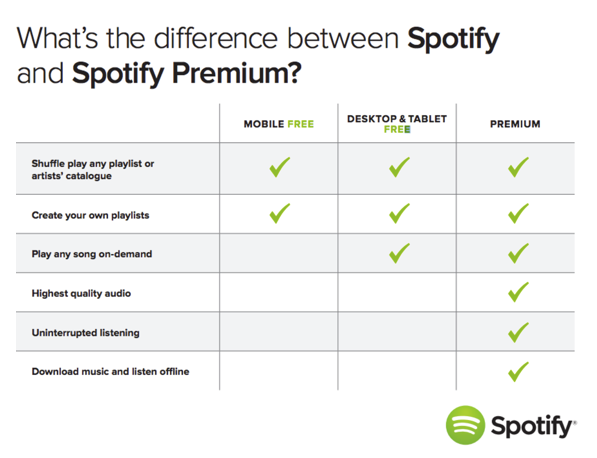 Others allow the user to access basic features for free, and then pay for the upgrade (as is Spotify’s model, as it happens). However, what a lot of startups get wrong is to offer an over-generous free plan. It’s easy to see why this happens – the startup is so excited about its product that it blindly believes that once people try it they will be just as excited and won’t be able to hand over their money quick enough. But the reality is that things don’t often work out like that – unfortunately we can’t all be as big as Spotify, and now we’ve got it, we don’t really need another one. The free plan doesn’t convince users that they actually need the product in their lives. Ok, let’s not get too bogged down looking at how some startups do this wrong, and instead focus on how to do it right. A free trial should be both of those things – free and a trial. The idea of this free trial is to get users to appreciate the core value of the product quickly. It’s an onboarding process, but one that shouldn’t last forever. For instance, I’ve been using the productivity app Trello for 2 or 3 years now. I find it so useful in the organisation of my writing schedules, of my colleagues’, I can easily collaborate with other users I’m connected with, leave notes, it syncs beautifully between all of my devices, etc., etc., etc. In fact, the free version is so good that I have never even once made any serious consideration to upgrade to the paid version. Why would I, when the freebie is so great? Really, what the people behind Trello should be doing is to give all new users this great experience right from the get-go, guide them through how this fantastic app is going to make their lives easier and more organised – and then take it all away unless they pay for the upgrade. Perhaps Trello might have fewer users this way, but I’d bet my car that they would have more paying customers. This is actually a great tactic for encouraging more people to start paying to use your app or other SaaS-style product. And the best way to illustrate this is by looking at a sterling example – Dropbox. 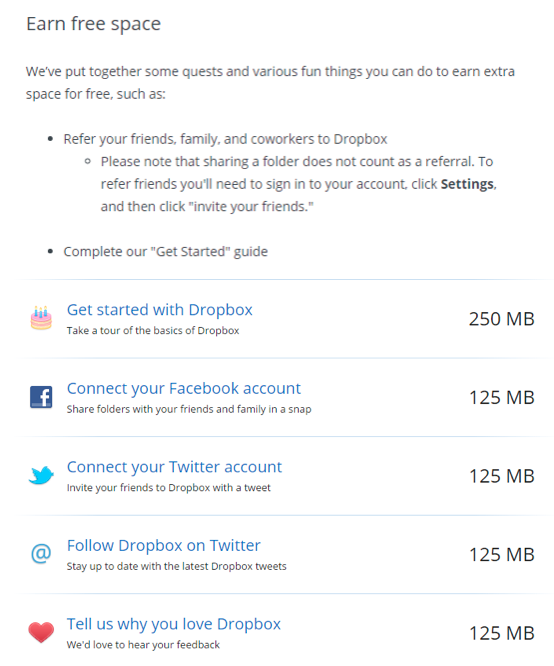 As well as paying for additional storage space, Dropbox also lets users earn additional free space by referring friends and family to sign up, or by connecting social media accounts and a few other things (see below image). It’s clever because it literally rewards loyal users at the same time as spreading the Dropbox word even further towards potential new users. It’s a double incentive to keep using Dropbox. One tactic to convert that freemium user into a premium one is to make convenience the very thing that you need to pay for. Let’s take my Spotify example again. Although still a great music player, I have to say that the only way to get the full brilliance of Spotify is to use the premium version. With the free mode, you can only shuffle play, have to put up with adverts, can only listen to music when you’re online – it’s like a completely different platform to be honest. But, the transformation upon upgrading is phenomenal. Now you can download music to listen to wherever you are, no matter if there’s an internet connection or not. 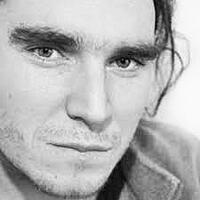 No adverts. You can play any song you like – it’s more than convenient. It's pure musical bliss. The lesson that Hubstaff learned is that if someone values a product, they will pay for it. And so they ditched the freemium model in place of a “cheapium” one. When people are paying for something, they tend to respect it more. Perhaps it’s human nature, or a sign of the spoilt times that we live in, but it’s true. By going for a cheapium model, where users have to pay just a small amount for basic features, you can almost be sure that they will pay a lot more attention to the product – and that might just be the key to them discovering just how brilliant your app is. It might seem counterintuitive, but we value the things that we have to pay for more than the ones that we don’t. Exploit that human trait. The 30-day free trial of Spotify worked because of the gigantic product that Spotify is. However, this is month-long period is the exception to the rule, for usually, the best option is to keep the free trial period short and sweet – 14 days at most. 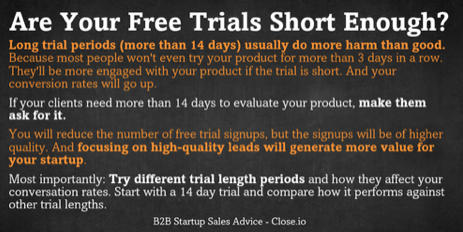 People don’t tend to take full advantage of a 30-day free trial. It’s too long. 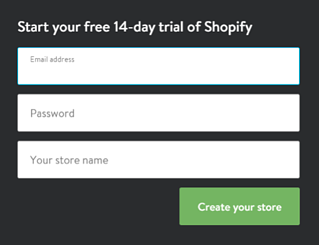 The Close.io blog says that the vast majority of users trial a product for a day or two, and then either sign up or don’t come back. And this is why you need to strike while the iron’s hot and keep that free trial period short. Indeed, when people feel like they have less time to trial your product, the more likely they are to actually take the time to get to know it quickly. When we know we’ve got a whole month to do something, it’s pretty easy to put it off, and then forget about it all together. What do you think makes a great free trial? Please share your experiences and examples with our readers in the comments below.